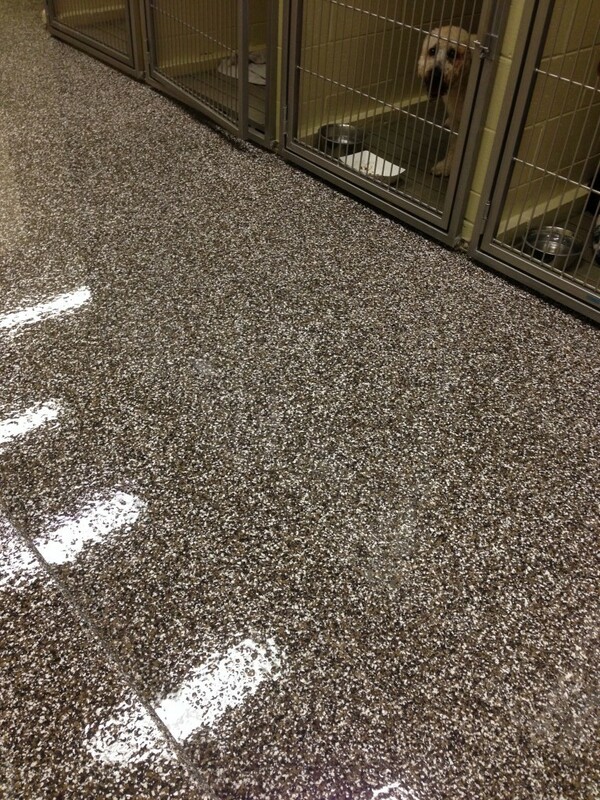 Looking for the ultimate floor that will provide years of service and a healthy environment for pets? 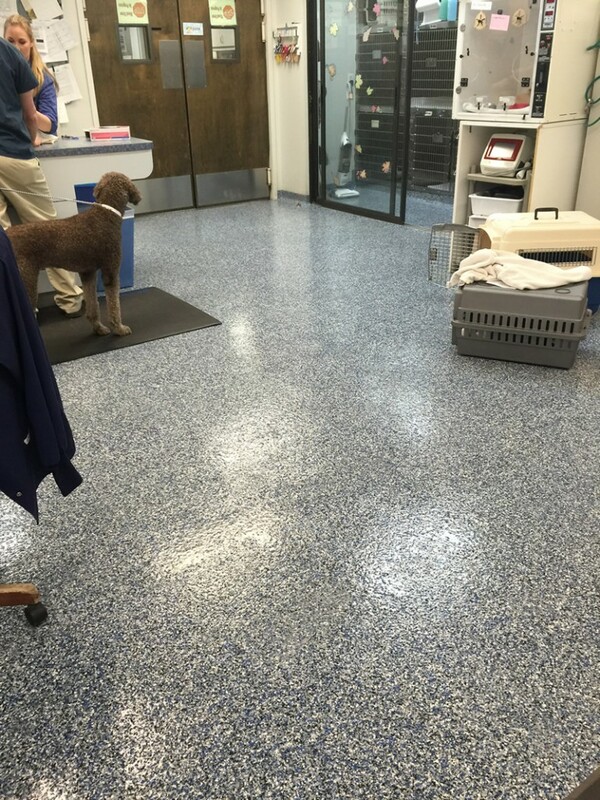 Seal-Krete’s Double Flake System will be the right choice for your veterinary clinic or kennel. 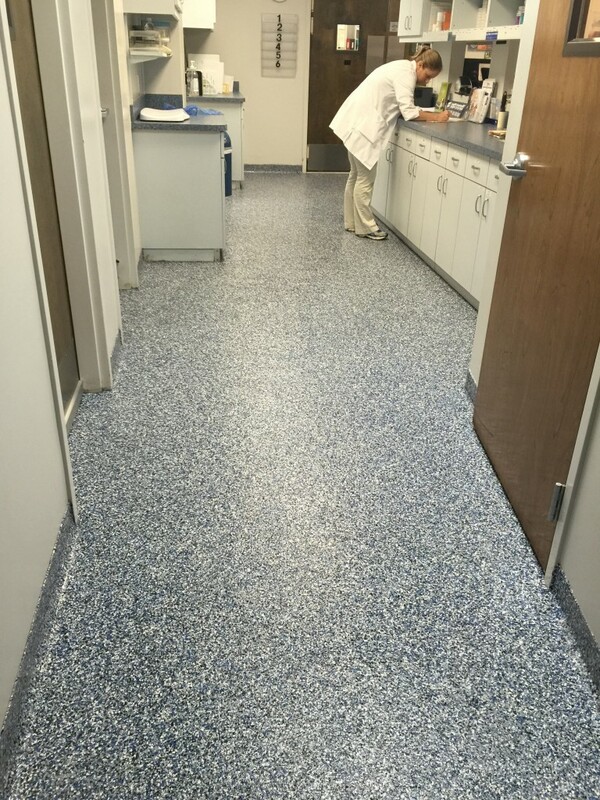 Our Double Flake System is both attractive and functional, providing protection against urine, detergents, and disinfectants. 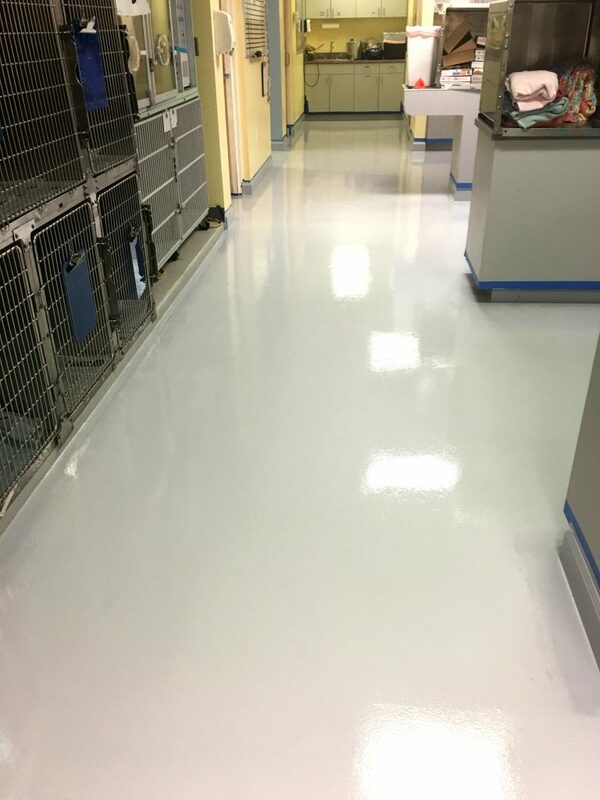 Our Double Flake Systems consists of full coverage vinyl paint chips which are suspended in two layers of Poly-Shell or Epoxy-Shell Clear and top-coated with Poly-Shell Clear for added durability and chemical resistance. 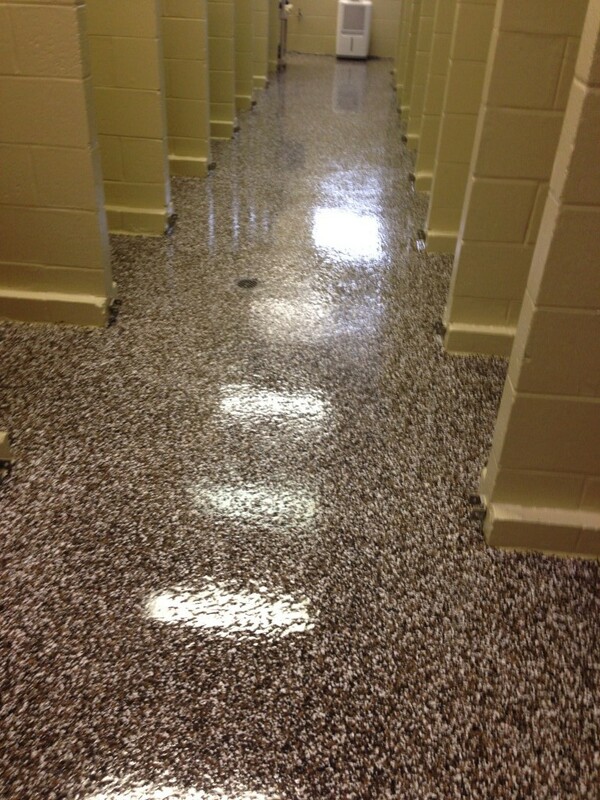 Excellent hiding makes this the perfect system for irregular or imperfect interior/exterior concrete floors.